The attack in Lahore points to a worrying reality that Pakistan’s war against extremism is far from over. A gruesome terrorist attack at a public park in Lahore on March 27 killed at least 70 people and injured more than 200. The attack has intensified fears that have gripped the country for more than a decade regarding terrorism. Jamaat-ul Ahrar, a splinter group of the Pakistani Taliban that claimed responsibility for the Lahore attack, has been behind many suicide attacks over the last few months. The group also took responsibility for the Bacha Khan University attack, which took place just over a month ago. 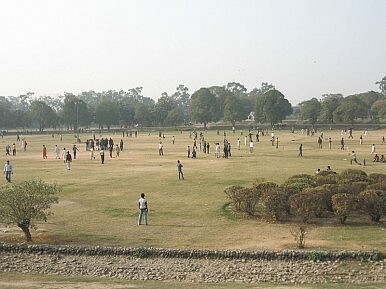 Lahore, the provincial capital of Punjab province, is considered one of the safest cities in Pakistan. An incident of this scale in the heart of the country has raised many questions regarding Pakistan’s recent gains against terrorist groups. A few weeks ago, the Pakistani military claimed that it had completely destroyed the Pakistani Taliban’s infrastructure and the group’s ability to carry out attacks inside Pakistan. However, the attack in Lahore means that the group retains the ability to strike anywhere in Pakistan. Moreover, it also indicates that the group wants to bring the war into the safest area of the country, which is Punjab. “This is a message to the Pakistani prime minister that we have arrived in Punjab,” the group’s spokesperson said. Thus far, Pakistan’s National Action Plan (NAP) against terrorism has only targeted terrorist groups based along the Durand Line, the border between Pakistan and Afghanistan. However, the real militant challenge lies in Punjab, which is considered a hub for various terrorist organizations. The southern and central districts of Punjab in particular are considered breeding grounds for terrorism. One of the core reasons that Jamaat-ul-Ahrar has been able to carry out attacks with impunity is because of its alliance and coordination with many Punjabi militant groups. The federal government, whose political base is in the province, has always remained reluctant from carrying out any large scale military operation against militants based there because of fears of a backlash, which may harm its political interests. Reportedly, for some time, the military has pushed the federal government in this regard, but the latter has always resisted any such plan of action. After the Lahore attack, a military operation has been launched against militants based in Punjab. But it remains unclear whether the decision to launch a military operation was taken by the federal government or the military as the announcement came from the military rather than the prime minister’s office. “If it is a change of policy, then it can make a difference. But if it is a temporary reaction and the Punjab government is not in favour of the operation, then things can get complicated,” said one analyst. Is it too late for a military operation in Punjab? Unlike the Taliban, groups based in Punjab enjoy so much public support that any action against them is likely to bring about a serious reaction from their supporters. The militant challenge in Punjab doesn’t just come from the armed groups, but also from unarmed Islamist organizations: though they may not carry weapons, they preach a certain version of Islam and have openly challenged the state’s writ. Over the last one year, the federal government has introduced many progressive policy measures that have infuriated many Islamist parties. A month ago, the Punjab government passed the Women Protection Act, which drew criticism from religious circles. In November last year, the prime minister attended a Diwali event where he said that “I am a prime minister of all communities.” Earlier this month, the government passed a resolution to declare Holi, Easter, and Diwali public holidays. Moreover, on the same day as the Lahore attack, protesters of different Islamist parties laid siege to the country’s capital, Islamabad, demanding that the government declare the recently executed Mumtaz Qadri, the killer of Punjab’s former governor, a martyr. Moreover, they also demanded that the state should immediately introduce Sharia as the law of the land. The attack in Lahore and the situation in Islamabad point to a worrying reality that Pakistan’s war against extremism is far from over. Pakistan today stands at a crossroads and decisions made today will go a long way in defining the country’s destiny. With the Panama Papers, Nawaz Sharif's legitimacy on matters of national security will continue to decline. Pakistan Reels With Internal Unease Regarding CPEC ImplementationWhy Pakistan’s Ruling Party Should Aim For an Early ElectionThe Significance of Nawaz Sharif's Empty Parliamentary Seat in PakistanScores Killed in Easter Day Suicide Bombing in LahoreShould Pakistan PM Imran Khan Expect a Major Opposition Party Challenge Soon?